Hear from the Cowboys ahead of their return to GIA. 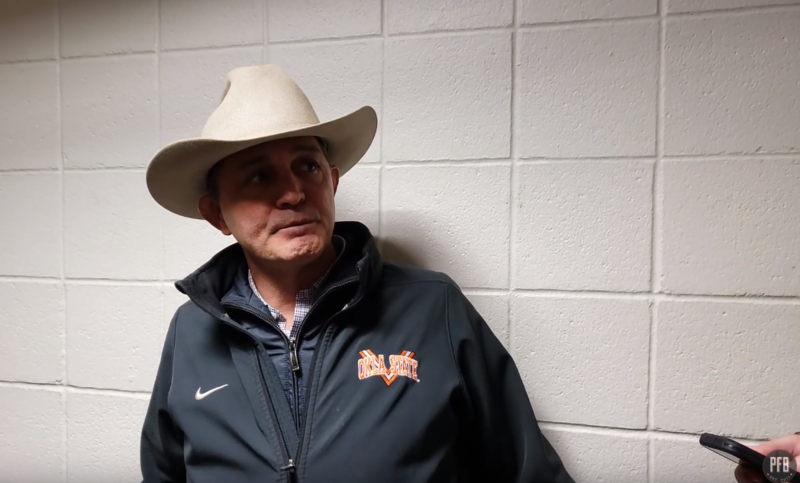 STILLWATER — Oklahoma State wrestling coach John Smith met with the media Tuesday as his Cowboys prep for their dual against Iowa State on Sunday. Sunday’s dual will be the first time the Cowboys have wrestled in front of a Gallagher-Iba crowd since the Bedlam dual on Dec. 9. Smith and 125-pounder Nick Piccininni talked about the various injures the squad has had to deal with and OSU’s progression during its time on the road.